PLASMA BT is a low-electricity, medical device equipped with medical plasma Shower® and Nee-dle® which uses atmospheric pressure to generate plasma. By applying this exclusive patented technology, it creates patient-friendly, abundant plasma which can be effectively used in in upper eyelid, lower eyelid, wrinkles, scar, peels, inflammation, wound healing and drug absorption. The system can be used in separate function of Plasma Surgical™ and Plasma Shower™, or can be used in combination of both. By applying this exclusive patented technology, it creates patient-friendly, abundant plasma which can be effectively used in in upper eyelid, lower eyelid, wrinkles, scar, peels, inflammation, wound healing and drug absorption. The system can be used in separate functions of Plasma Surgical™ and Plasma Shower™, or can be used in combination of both. 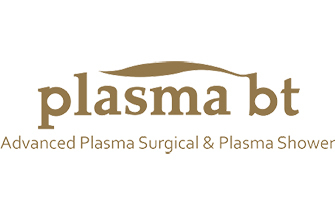 Plasma BT offers an alternative to invasive surgical cosmetic procedures, reducing recovery time and any complications that can arise before and after surgery. The system is very precise and doesn’t spread heat to surrounding areas, meaning it is perfect to operate on areas (such as eyelids), that are not really suitable for other devices, like radio-frequency scalpels or lasers. It is therefore marketed for use as a non-surgical blepharoplasty, or soft eyelid surgery. There are a number of studies that have shown Plasma has positive results in the treatment of acne, excess eyelid skin and wrinkles around the mouth. The extremely accurate instrument works by ionising the gas particles in the air between its tip and the skin, to form plasma. An electrical arc is created, which results in sublimation i.e. turns a solid straight into gas. Therefore, the results are instant, but also no heat is transferred to the surrounding area. The resultant tissue retraction and tightening (as opposed to removal) gives results that are comparable to the ones seen with invasive surgery.